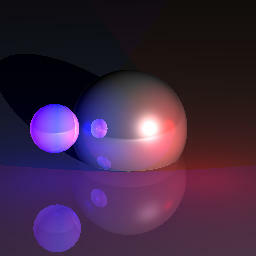 RTK is a raytracer that I work on occasionally. it started out as a contest with a friend of mine from caltech Walter Brisken. At the house i live at we have a common meeting area referred to as "Lower Crotch" and we also have these events called Crotch-a-thons where we see how long we can stay there without leaving. in any case a couple of summers ago we had one of these crotch-a-thons and Walter and I decided to up the stakes by having a programming contest to see who could write the best raytracer in the two day period. Well it ended up that his was much more functional having more primitives and whatnot due to his more advanced math and physics background , but mine was over twice as fast. so we declared it a draw and here is half the results. for Walter's half you can check his homepage via the link above. 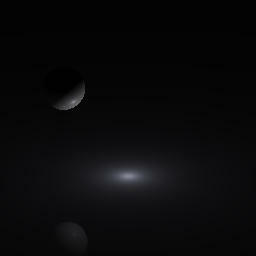 okay.. so its not that great as raytracers go.. but its fast! and the code is all there to look at or modify. All the graphics on this page were rendered in it.. here's a little mpeg animation to look at too. back to my computer stuff.